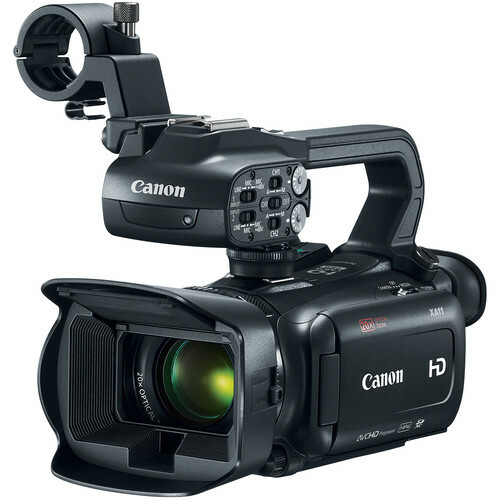 We are specialists at repairing your Canon XA11 camcorder and we’ve seen all of the problems associated with it. Make sure that the SD card cover is closed all of the way. Try opening the SD card cover door that covers the A and B slots and then closing it again. You can also try reinserting the memory card. Make sure to try more than one SD card. If none of these solutions work, your Canon XA11 will need to be sent in for repair. If you are having powering problems with your Canon XA11 camera and you have tried both the batteries as well as the AC power adapter and you are still having problems then the camcorder will need to come in for repair. If your HDMI is not working correctly we recommend trying to do a factory reset to the camcorder. Resetting the Canon XA11, is done by the following steps. After resetting the camcorder, power the camera down, remove the power source such as the AC adapter or battery and then try the camcorder again. If your headphone is not working correctly we recommend trying to do a factory reset to the camcorder. Resetting the Canon XA11, is done by the following steps. After resetting the camcorder, power the camera down, remove the power source such as the AC adapter or battery and then try the camcorder again.